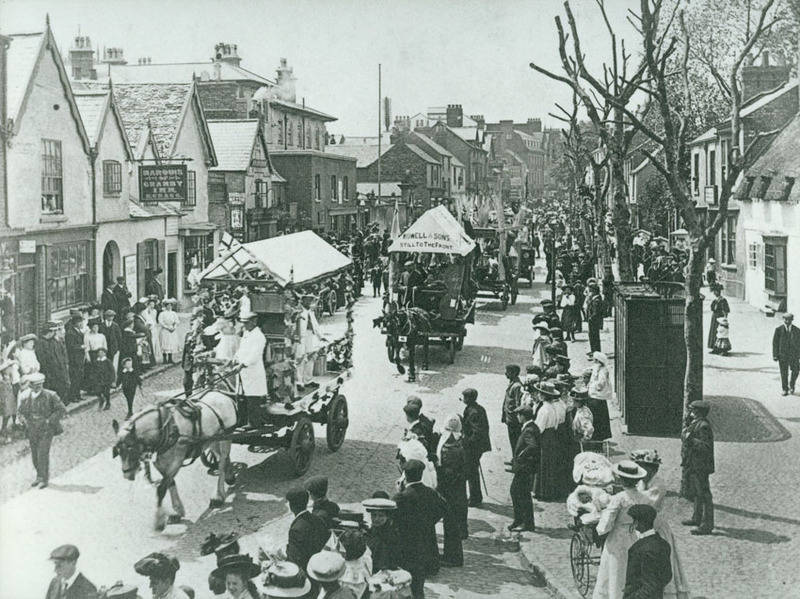 A carnival procession winds its way along Sherrard Street from the town centre, with one of the town’s public urinals on the right, and The Marquis of Granby pub on the left. The first float is possibly a Stilton cheese-maker, the second belongs to Rowell and Son, boot-makers to the gentry, and later to the Duke of Windsor. Approx date: 1910. Image ref: MM0210.